At Lakonia Capital, we take pride in maintaining lasting relationships with our valued partners to make their oil and gas investing experience a one-of-a-kind. With exceptional communication at the forefront of our company, we welcome you to get to know our team. Nextiva’s mission is to provide reliable unified communications products backed by a dedication to delivering Amazing Service to businesses across the country. Our cloud-based phone systems, fax communications, and web-based tools are designed to increase flexibility, productivity, and efficiency for businesses of all sizes in a variety of industries. OilWellStore.com is an online advertising platform for oil and gas companies wanting to drive traffic to their website. We’re a collaboration tool designed to cut through pointless processes, politics and protocols with a single click. We help you, your team and your company by making collaboration simple, instant and continuous. Join.me -- Free screen sharing, online meetings and team collaboration are all fast and easy at join.me. Show work who's boss. In the constantly changing oil and gas industry, everyone needs to do more with less. You need a partner who will collaborate with you to produce tangible results customized for your business. With Drillinginfo Services, leverage our oil and gas experts and industry veterans, as well as our innovative technology and proprietary data, to solve your most complex problems and to drive success in a competitive market. At M3 Networks, we do more than just provide high quality IT services. We create value for our clients by providing a customized solution to meet your individual IT needs, all for a flat monthly fee. 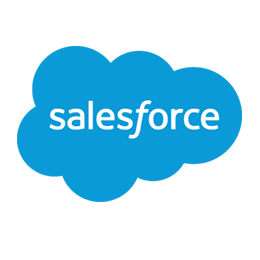 Create powerful web forms to collect & send data to any Salesforce custom & standard objects. Capture leads, update contacts, attach files, & open cases. Howard, LLP -- Your problem solvers. Your trusted advisors.